Robert Vadra, son-in-law of Congress president Sonia Gandhi, slammed his critics on 20 June, alleging that he is being used for political gains by the opposition parties. Vadra said that all allegations being levelled against him are baseless. The businessman, who was recently issued a notice by the Enforcement Directorate (ED) for his alleged involvement in a land scam in Bikaner, said that it has been a decade but no government has been able to prove any charges against him. "Almost a decade of government's false and baseless accusations on me! 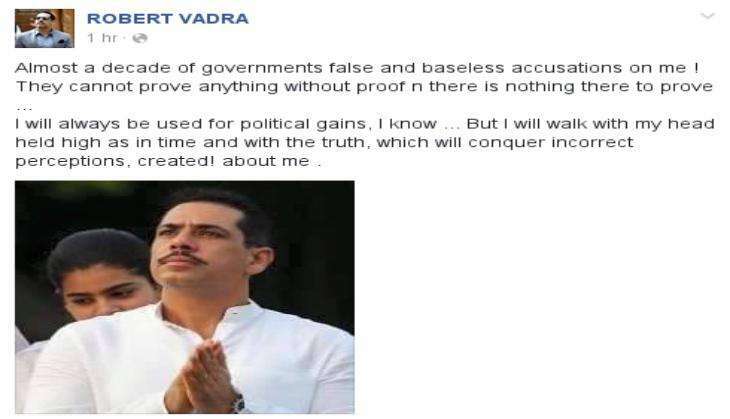 They cannot prove anything without proof n there is nothing there to prove," said Vadra in a Facebook post. "I will always be used for political gains, I know ... But I will walk with my head held high as in time and with the truth, which will conquer incorrect perceptions, created! about me," he added. 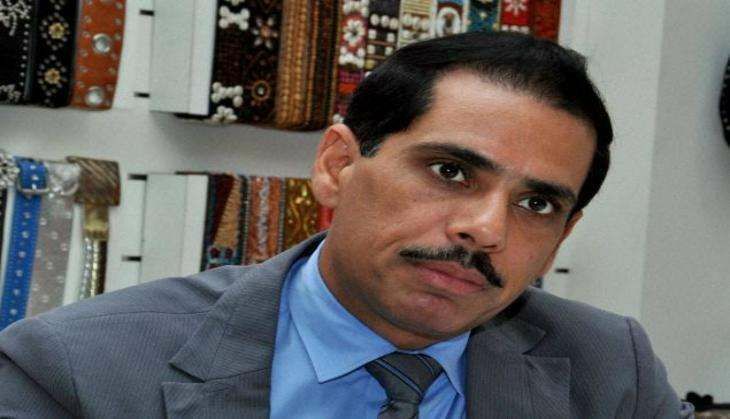 Vadra's statement comes at a time when Justice SN Dhingra Commission, which was set up to probe land deals in Gurgaon - including one between realty major DLF and Skylight Hospitality of Vadra - has informed the Haryana Government that the probe has been completed. Reacting on Vadra's statement BJP said that law will catch up with Vadra and that he shouldn't be scared if not guilty. The Bharatiya Janata Party (BJP) had made Vadra's land deals a prominent poll issue ahead of the general election and Haryana assembly polls.